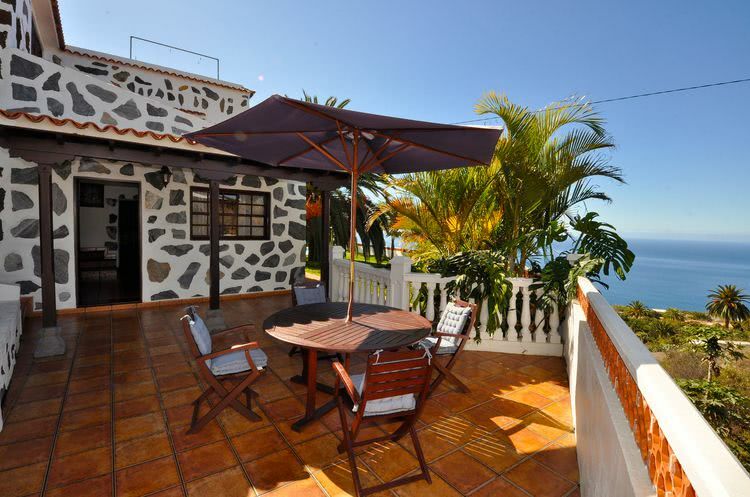 A little below the small village La Punta near to Tijarafe on the sunny westside of La Palma the Villa Palmeral is situated quiet and rural. 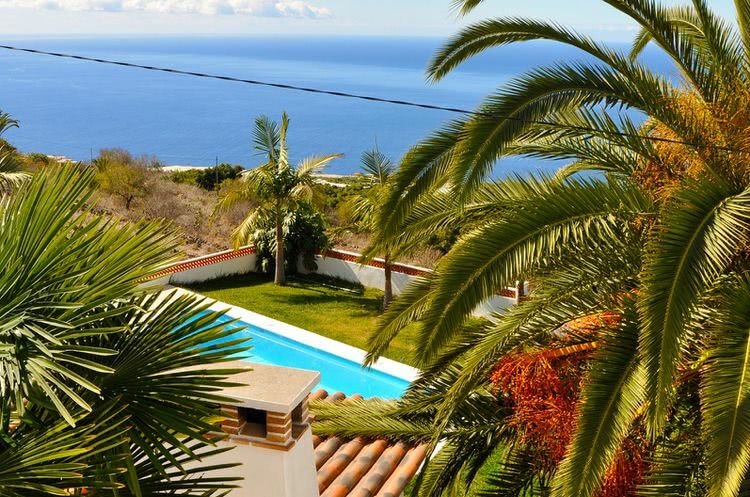 On 450 meters above the sea level is the mildest area of La Palma and the whole year a balanced climate. 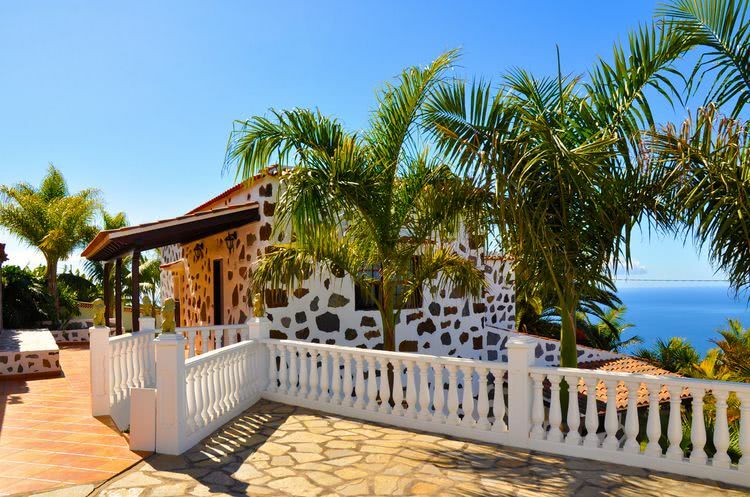 The Villa Palmeral is a renovated and built on old canarian country house with a size of approximately 160 m² on a property of 1000 m². 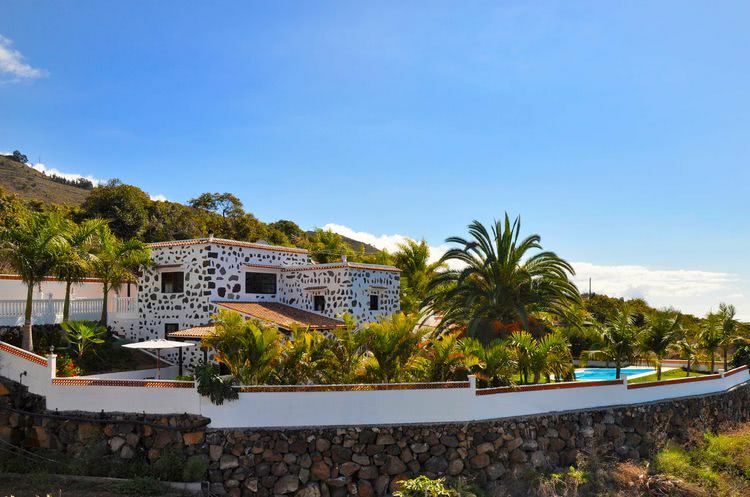 Also for hiking tours the Villa Palmeral is a favourable starting point, the hiking trail GR 130 and the impressive gorge of the Barranco de las Angustias are very close. 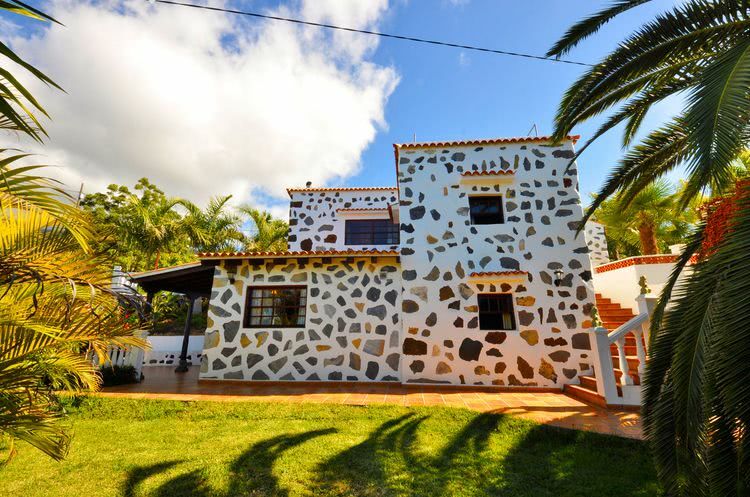 Distance to the next supermarket and restaurant approximately 4 KM, to the beach of Tazacorte approximately 15 Min. 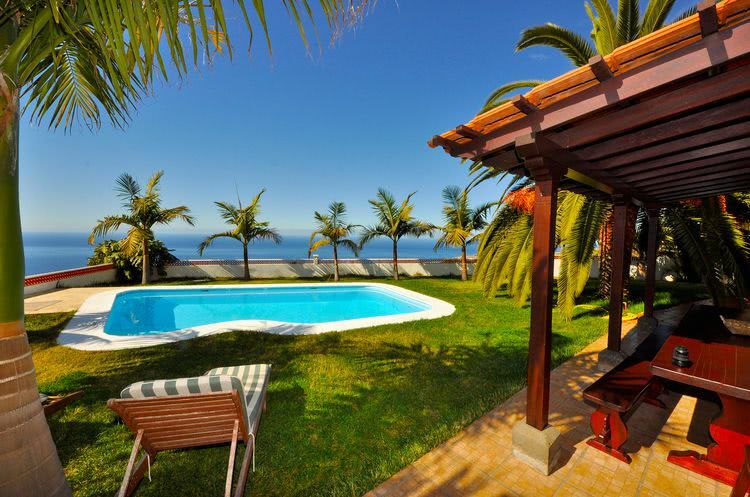 The holiday house Villa Palmeral is surrounded by a tropical garden and offers a fantastic view on the atlantic ocean and the great sunsets in front of La Palma. On the different terraces or the rooms which nearly all have an ocean view you can relax and recharge. 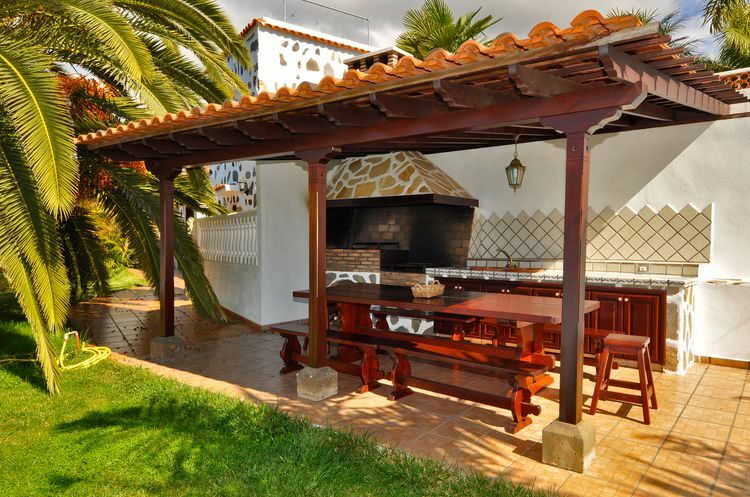 The covered BBQ area behind the pool and the view to the ocean through palmtrees is very special. The entire house is equipped with radiators which luckily almostnever are in use. The chimney in the living room provides a cozy atmosphere for special evenings. 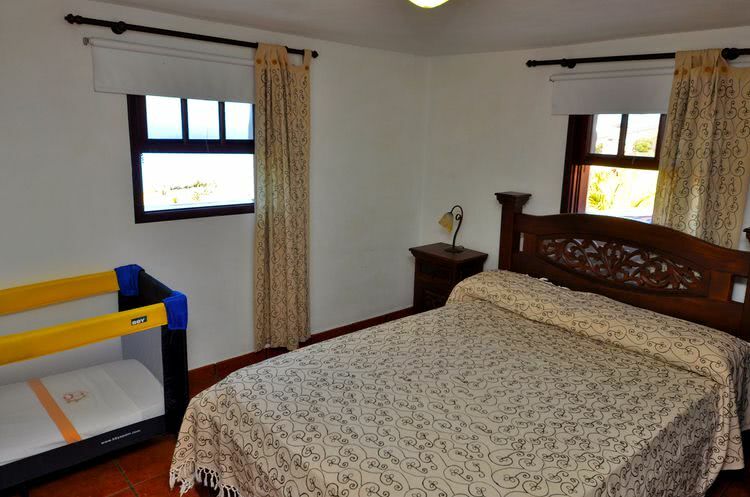 It isa spacious room with comfortable seating furniture as well as a TV and a stereo system. 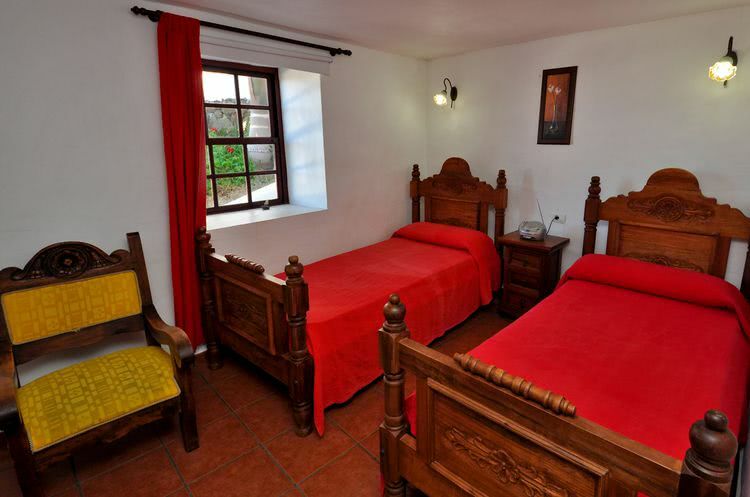 Two of the three bedrooms have each 2 single beds and one a double bed. 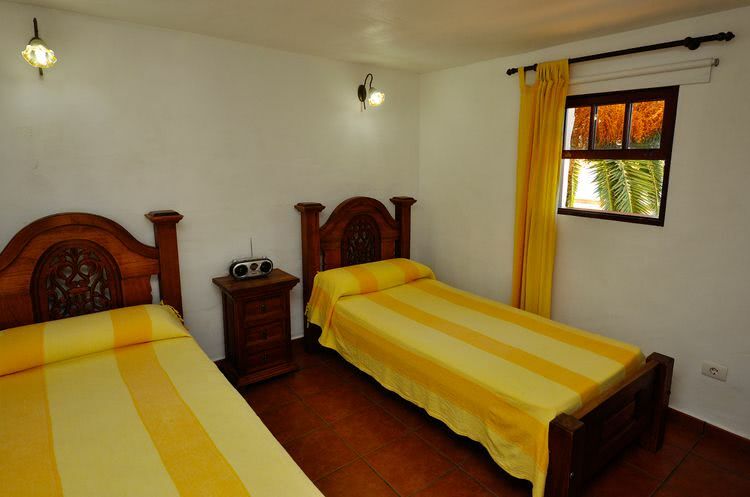 All beds are 2,00 meters long and in each room you will find a cupboard for the clothes. 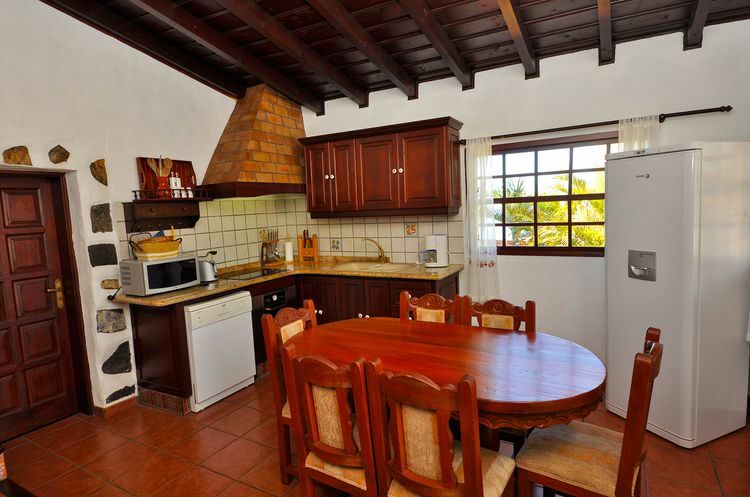 The kitchen is very amply and furnished with all necessary cooking equipment and has a door to the breakfast terrace. 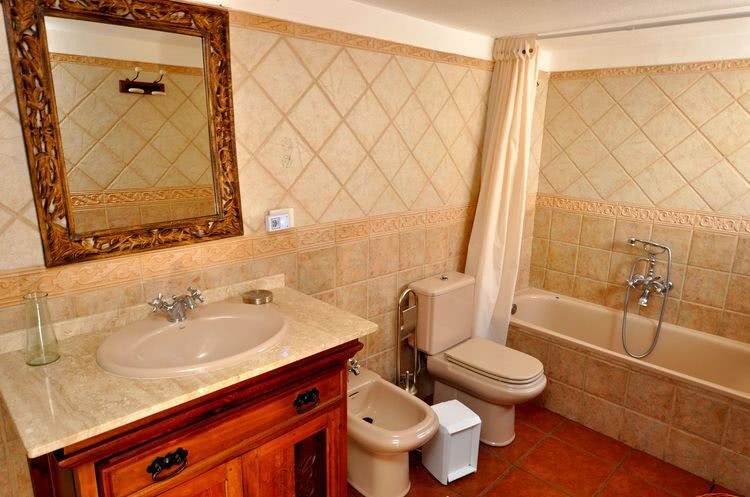 The two bathrooms are nicely decorated and have nice colors. One is equipped with a bathtub. 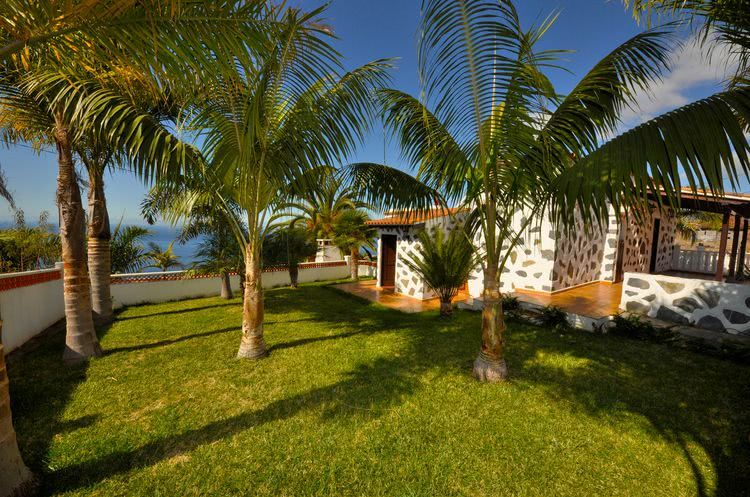 Very beautiful to relax or for creative work are the four terraces with lush, green lawn or tiled. The pool is located on the richly planted lower terrace where also is the big and well furnished BBQ area. 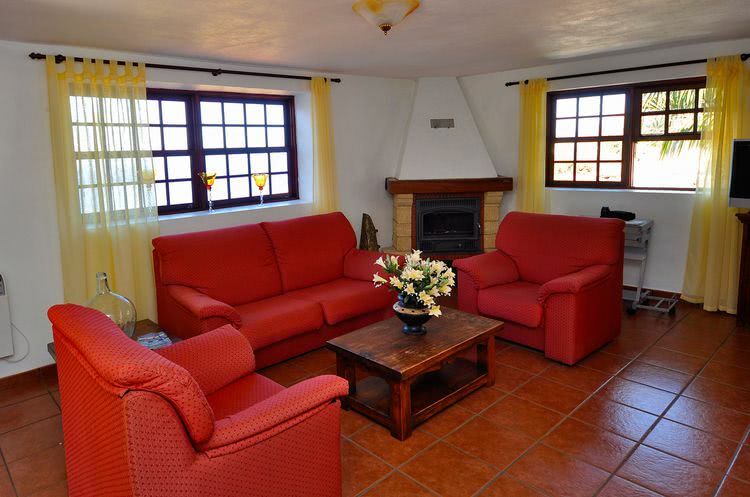 Many terraces and rooms as well as undisturbed Idyll are made for creative stays. Also for well known musicans like Götz Widmann and friends come here and use the villa to write new songs.